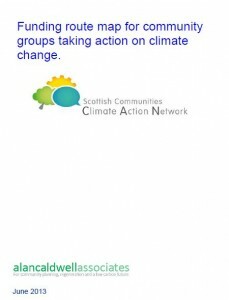 Local Authorities can be a key partner for many community groups taking climate action. We commissioned Cambium Advocacy to carry out research into our members’ experience of working with their local authority. 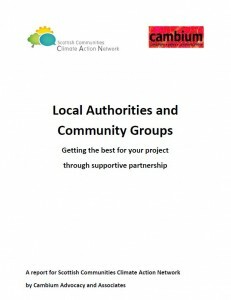 This report explores how community groups could work better with local authorities to tackle climate change. Some community groups enjoy a good partnership with their local authority, while others struggle to connect. This report gives an insight into the secret of a good relationship, and how to get there. Local authorities influence many areas which impact the climate change agenda including planning, public transport, roads, and schools. They may run community facilities such as village halls, deliver insulation schemes or support community markets. Local authorities can help community groups with funding or they may offer in-kind support, such as free use of facilities, raising awareness through council publications and events, or by giving staff support. When this joint approach works, local authorities can find that the community project helps with the delivery of services and the achievement of their outcomes, while the group can make a bigger impact. This report is based on a survey of community groups, in-depth interviews with key stakeholders. It gives recommendations for community groups and local authorities, and provides suggestions for further work at a more strategic level. The overall conclusion is that developing and maintaining good relationships with local authorities takes time and persistence, but the investment is paid back in good results for both parties. This Route Map has been developed to help local communities to finance projects that are important to them and take action on climate change. It covers the themes of energy, transport, food, waste, land use and community engagement. In making such projects happen the Route Map encourages community organisations to diversify their sources of funding and move towards greater financial, as well as environmental resilience. While this approach is economically sensible it will help community organisations to grow in confidence, increase their independence and achieve so much more. How can you access the best support and advice for your project? How do you plan effectively to make your project happen? How do you identify and assess the different funding options and choose the ones best suited to your project? How do you find the right funding partner that suits your project? What are the best ways to work with your chosen funding partners? What is the best way to organise yourselves to make your project happen? How should you manage your project to ensure long-term success? To further our aim to act as a channel for communication with the Scottish Government, Public Sector and business we also provide comment on relevant consultations.